Are you feeling the pressure of captaincy given that you were drafted in at the last moment? Of course, there is pressure, but I am not entirely looking at the negatives. We have a nice side, some good bowlers and quality batsmen with lots of international experience. Definitely, there’s lot more at stake since it’s an international tournament and we are leaving nothing to chance. You and Smith have been buddies since school. Take us through your cricketing days together. We began our career more or less at the same time. We went to Pakistan together in 1997 in the U-19 squad. We opened the batting together there. Then, we went to Sri Lanka in 1999 for the U-19 World Cup. We even opened the batting for Western Province together and finished school at the same time. With time, Smith became the South Africa skipper and his career took off. I have been playing in the domestic circuit consistently. For many of you, this is the first visit to India. How do you reckon the conditions are going to be? It’s important that we get used to the conditions as quickly as possible. This is my first visit to India and I am sure the local teams will have an advantage. But that’s no excuse for us. Did you consult Smith about the Indian wickets since he has experience of playing here? Yes, we have had a word and he told me not to expect much from the wickets. It’s not going to be a wicket tailor-made for strokeplay. Judging from our practice matches and scores at this venue in the past, it seems to be a wicket where a score of 150 is par. 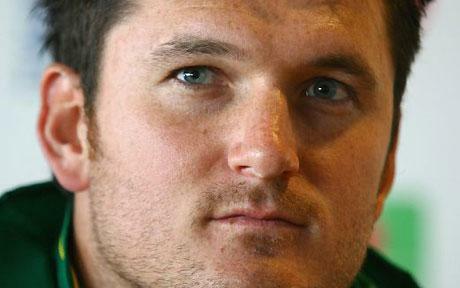 Any plans against fellow countrymen — Jacques Kallis, Mark Boucher — in the RCB camp? We have seen video footage of them. Some of us have played together or against each other since we come from the same country. But yes, they are international cricketers and certainly, we will look to get them out as cheaply as possible.